Child-friendly? There is mild sexual content in the form of flirtation, jokes about women and their bodies, and innuendos about attraction. There are few swear words, but a number of insults. Most of the violence is cartoonish and involves pratfalls. Some parents may not be comfortable with the stereotypical humor centering on different religions, ethnicities and sexual preferences. Probably best for ages 10 and up. The Pink Panther 2 is another series of slapstick foibles featuring Inspector Clouseau – the character first made famous by Peter Sellers. 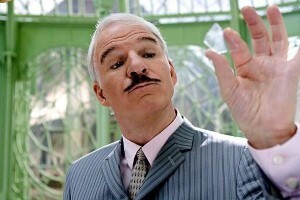 Steve Martin takes the lead role for the second time in a plot that sees Clouseau working as part of an international group of detectives focused on bringing a cat burglar to justice. Among the treasures stolen by the thief are the Magna Carta, the Shroud of Turin, the Pope’s ring and the Pink Panther diamond – and it is up to everyone’s favorite bumbling investigator to help recover the goods. As may be expected, Clouseau’s antics land him in hot water with his colleagues. Meanwhile, he and his assistant/ex-girlfriend flirt and try unsuccessfully to put their relationship behind them. Fathers who are looking for an original storyline or complex plot twists may find this movie disappoints. However, fans of the original Pink Panther may enjoy introducing their children to the series via the newest installment. As usual, the humor tends toward the risqué without ever going over the top.